Last week, the niece of Tiger Woods won an NCAA conference championship. This week, the sister of Morgan Pressel did the same. Madison Pressel won the Big 12 women's championship tournament on Sunday, shooting 71-66-71 for a five-stroke victory. 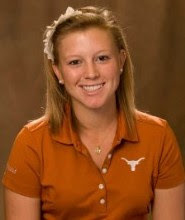 Pressel is a sophomore at the University of Texas. It's the first collegiate victory for "Maddy." 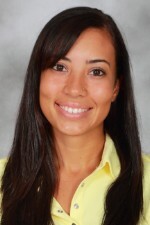 Her biggest win previously was the Florida Class 2A state girls high school championship in 2008. A big congratulations to Cheyenne Woods for winning the Atlantic Coast Conference championship. It's the biggest feather in her cap to date. I must admit, I used to doubt that this Woods had a bright future as a professional golfer. No more. It will be a tough road, for sure - it is always is - and success at the next level is certainly not guaranteed. But one thing Cheyenne has proved is that she is always working hard to improve, and in fact she has improved at each level of play. She's a very talented golfer, smart and a hard worker. That's a good combination. Woods won the ACC championship by seven strokes, her biggest win to date. Next up at the NCAA level are regionals, and Woods' Wake Forest team will be among the favorites to advance to the national championship tournament. Broadcaster Holly Sonders joined the Golf Channel early in 2011 as part of the network's new morning show, Morning Drive. Based on this blog's search log, I can say with confidence that Holly has been a hit with Golf Channel viewers. We spoke to her recently (via email) and asked her five questions. Those questions, and Holly's answers, are below. For more Holly, watch her weekday mornings on Golf Channel, or follow her on Twitter. For the sake of those who haven't yet had a chance to tune in, describe Morning Drive and your role on it. What differentiates this studio show from the afternoon and evening studio shows on Golf Channel? HS: I am one of three co-hosts on Morning Drive. Erik Kuselias (from ESPN) and Gary Williams (from Sirius Satellite Radio) are the main hosts, I provide news updates as well as other segments. It is the first morning show ever on Golf Channel and runs from 7-9 a.m. (ET) Monday-Friday. We talk mostly golf but also incorporate other sports as well. 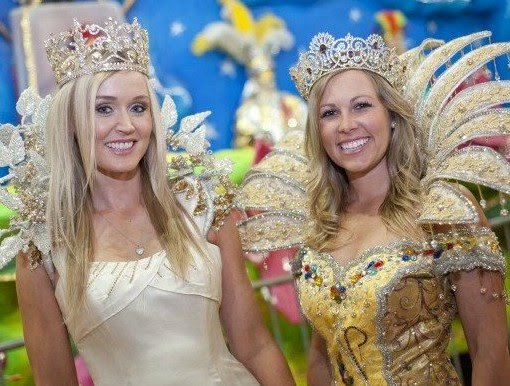 It is more lighthearted than the evening shows on GC, we have daily guests in studio/on the phone and allow them to show their personalities (not just strictly about golf). It's a lot of fun. I know you played competitively in college, so tell us a little bit about your background as a golfer. HS: I started golfing when I was six years old. I played the AJGA circuit through middle and high school and made the decison to play golf at Michigan State for four years. During my time there, we won a Big Ten Championship and made incredible memories that I would never trade anything for. You came to Golf Channel from KATV in Little Rock, Ark. Did you ever have to interview a shirtless John Daly? HS: Haha, no shirtless John Daly. No John Daly at all, actually! I was only in Arkansas for about 8 months. But I hear he is a cool guy, though. What's the coolest thing that's happened to you since you joined Golf Channel - either on-air or behind the scenes? HS: On-air? There have been so many celebrities and legendary golf icons come through our studio it would be hard to pick a top moment. Off the air? Anytime I am invited to host an event, I get really excited. For example, Steve Sands and I were asked to host the "40 under 40" event in Miami a few weeks ago and it was awesome. I was also asked to host a Masters Maxim party in Augusta which was cool, too. I feel lucky every day to have those experiences offered to me. Holly Sonders, Win McMurray and Kelly Tilghman tee off for a round of golf. Who's winning the most money after 18, and who's paying up? HS: I love both of them ... Win never played in college and Kelly was highly decorated at Duke. I don't know how much Kelly still plays but I would rather see all three of us compete in a scramble - would be much more fun! Noticed on Twitter that someone with the handle "@CharLouJackson" tweeted this: "Interviewing @Graeme_McDowell - looking good with his tan!" To which McDowell replied, "Charlotte always looking good." "CharLouJackson" is Charlotte Jackson, a television host (or "presenter" as they say in the UK) on Sky Sports and Al Jazeera. She includes "amateur golfer" in her Twitter self-description, so presumably she plays (and covers) a lot of golf. 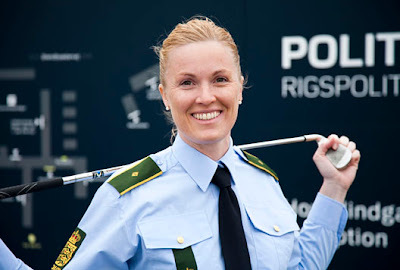 "Since the Open de Espana Femenino in September last year Amanda Moltke-Leth has not touched a golf club. The desire was gone; it was no longer fun. All of her focus has, however, been directed towards the future and Amanda Moltke-Leth is now training to become a policewoman." Moltke-Leth never won on the LET, but she was a regular presence and had some strong finishes. Her career-best finish was third, which she most recently accomplished at the 2008 Suzhou Taihu Ladies Open. Her best season was 2006, when she finished 25th on the LET money list. ... Like that changing-on-the-golf-course incident – Moltke-Leth isn't an exhibitionist. But it was Friday morning practice at 6:30, Moltke-Leth had a particularly late Thursday night, and she barely got to the course on time and had to change to her golf clothes in the car. It wasn't until she was at the ninth tee that Moltke-Leth realized she forgot to put on her bra. Oh well, Amanda will make do. While teammates Alicia Um and Julie Oh were putting, Moltke-Leth just took off her shirt, reached in her bag for her bra, and stood there with only her pants on. "Alicia looks, and she screams like, 'Ahhh, Amanda! What are you doing?' and Julie was like, 'The clubhouse is right there! Everyone can see!’ " Moltke-Leth said. Amanda's laughing response to that: "Well, they've probably seen this before." We're in the midst of a 3-week lull in the LPGA schedule (one of many lulls in the 2011 LPGA schedule). So let's post a pic of Paula Creamer. Because you can never have too much Paula, right?